In the near three decades that I have been involved with Gaza and her people, I have never seen the kind of physical and psychological destruction that I see there today. This is because Gaza has long been, and remains, the heart of Palestinian nationalism and resistance to Israeli occupation. The war in the summer of 2014 was not about rocket fire, Israeli security or Hamas: it was about subduing and disabling Gaza, something Israel has consistently been trying to do ever since it occupied the territory together with the West Bank nearly 50 years ago. Israel’s principal strategy has long been to prevent the establishment of a Palestinian state by dividing and separating Palestinians, particularly via the annexation of the West Bank. But complete control over the West Bank – the obvious goal of the settlement enterprise and the separation barrier – cannot be achieved as long as Gaza remains a source of resistance and as long as the possibility of a unified Palestinian state exists (which came a step closer last June with the formal announcement of a Palestinian unity government, the proximate cause of the war on Gaza). The separation and isolation of Gaza from the West Bank was a goal of the 1993 Oslo process – and had the direct and sustained support of the US, the EU, and the Palestinian leadership. It has not only precluded the development of a unified political system but has also eliminated the geographic basis of a Palestinian economy, making the creation of a viable Palestinian state a virtual impossibility. This is the status quo, institutionalised over the past 21 years of “peacemaking”, that Israel must preserve. And this is the context in which the large-scale destruction of Gaza’s civilian life last summer must be understood. Ultimately, Operation Protective Edge was designed to set in motion what one of my colleagues recently called a “dynamic of disintegration”. That disintegration has taken a number of forms, some of them completely unprecedented. A whole indigenous economy has been all but destroyed, with extensive damage to civilian infrastructure; Gazan society has been reduced to almost complete aid dependence. It has also been radically economically levelled, with the virtual destruction of its middle class and the emergence of a broad new class of “poor”. Gaza’s social fabric has greatly weakened, and is now characterised by a new kind of fragility and disempowerment; entire neighbourhoods have been eliminated, and their community life destroyed. Emigration is rising fast, and hope for peace with Israel is being abandoned, to a degree never seen before. Despite the size and urgency of the task at hand, efforts to “reconstruct” or “rebuild” of Gaza have long been deeply problematic. Although billions of dollars have been pledged by donors, reconstruction is always planned or implemented within an unchanged (and unchallenged) political framework of continued Israeli occupation, assault and blockade. Meanwhile, Gaza’s subjection to Israeli military attacks and economic sanction is at best ignored and at worst endorsed by key forces in the West, notably the US and EU. But the current attempt at reconstruction is a new low. On with the reconstruction – whatever that means. Never mind that Gaza’s recent devastation, met largely with laissez-faire silence from Western states, is completely unprecedented; the agreed-upon plan for addressing the situation clearly prioritises limited short-term gain at the cost of a long-term entrenchment of Israel’s destructive blockade. 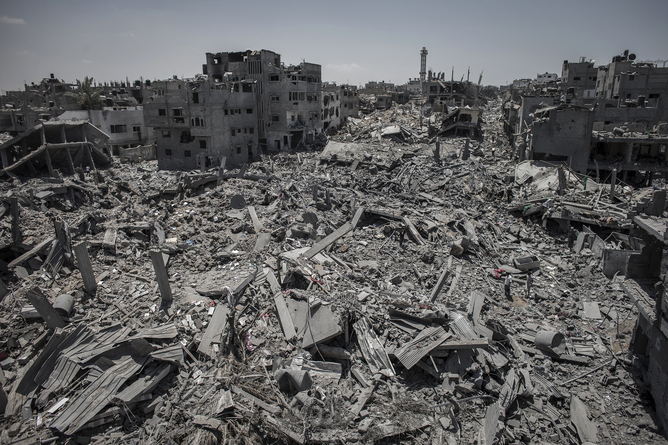 There are now several published documents describing the reconstruction and recovery plan for Gaza – but the most damning one, the Gaza Reconstruction Mechanism, has not been published (at least to my knowledge), and it is unlikely that it ever will be. Another key document, the Materials Monitoring Unit Project, Project Initiation Document (UNOPS), is available, but has not been widely distributed outside the donor community. I have seen both documents, the latter in its entirety. They read more like security plans, carefully laying out Israeli concerns and the ways in which the United Nations will accommodate them. 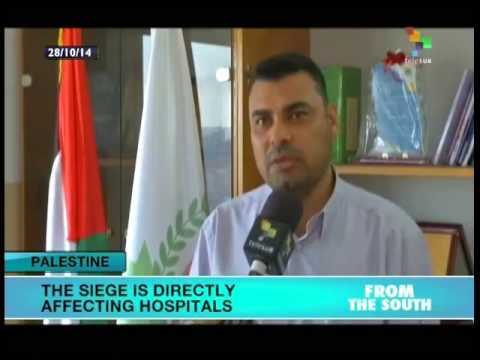 They do not speak to the comprehensive recovery of the Gaza Strip. The reconstruction plan they detail has so many problems that in my view, it is clearly doomed to fail. The plan calls for a cumbersome administrative and bureaucratic apparatus for project selection and implementation that transfers risk to Palestinian beneficiaries/suppliers and totally ignores the power asymmetries and security realities that will undeniably affect outcomes. In fact, what is being created is a permanent and complex permit and planning system similar to the one Israel uses in Area C of the West Bank, which is under total Israeli control. This system will be difficult if not impossible to implement, and as structured, any implementation failure will be blamed on the Palestinians. Israel will have to approve all projects and their locations and will be able to veto any part of the process on security grounds. There is no mention of reviving Gaza’s export trade or private sector development (other than in relation to specific private-sector companies vetted by the PA and Israel for individually approved projects). Both are essential for rehabilitating Gaza’s moribund economy. Similarly, there is no reference to the free movement of people, another urgent need. No mechanism for accountability or transparency will apply to Israel. Nor will there be any mechanism for resolving disputes, which can only be decided through consensus: the occupier must agree with the occupied. The plan mainly serves to legitimise Israel’s preferred security narrative. According to the UNOPS document, the outcome of the reconstruction project must be “the establishment of an intermediate system of dual-use items monitoring that will facilitate the import approval of construction materials and machinery into Gaza. This will be achieved through the reduction of [Israeli] security concerns of materials being diverted for use in the enhancement of military capabilities and terrorist capacities”. Assuming, for the sake of argument, that the plan is successfully implemented, its intended outcome is still completely unclear. It does nothing to explain what kind of economy is supposed to be enabled, or what exactly is being rebuilt. Is it what was lost in 2000, 2006, 2007, 2008-09, 2012 or 2014? Is it people’s lives and livelihoods? After all, reconstruction is not simply about buildings and public works: it’s about securing a real future, and creating a sense of place, possibility and security. Life in Gaza cannot be rebuilt with cement and cash handouts. Of course, people desperately need assistance. What is at issue is the terms on which that assistance will be provided, and what political ends it will serve. Gaza does not just need aid; it needs freedom and the right to interact normally with the world. Anything short of this is unsustainable. More than 20 years after the so-called peace process began, the donor community funding the rebuilding effort still has big questions to answer. In the absence of a political resolution to the Israeli-Palestinian conflict, it is shocking that the occupation and continued dispossession of more than 4m Palestinians in Gaza and the West Bank continues to be tolerated by the West. Equally, the blockade, the unravelling of Gaza’s economy and the widening impoverishment of 1.75m people in the Gaza Strip (a great many of them children) are met not with outrage, but with support from Western governments. The truth is that as long as humanitarian aid is used to address political problems, all “reconstruction” will mean for Gaza is continued ruination.